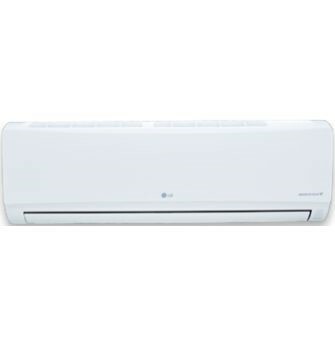 Our ductless mini-split air conditioning systems offer high-efficiency heating and cooling for precise comfort. 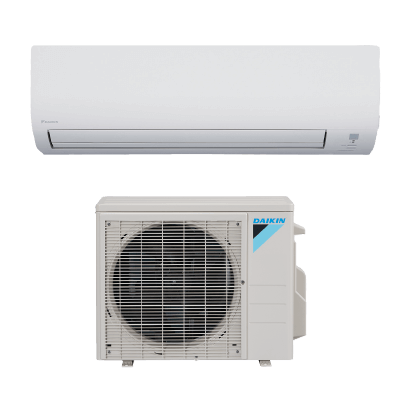 The mini-split ductless system offers efficiency up to 16 SEER. 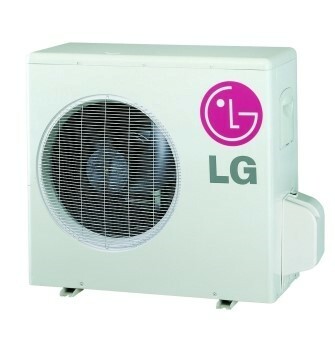 Mounted near the floor or ceiling for high-efficiency heating and cooling. Sleep function automatically adjusts the temperature based on set sleeping time to maintain comfort in the room while saving energy. 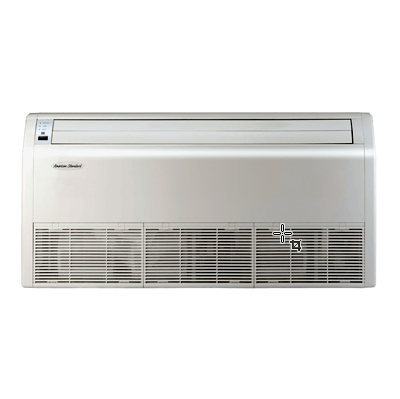 The auto clean function runs the fan when the unit is stopped to prevent bacteria from forming. The unique catechin filter made from natural green tea provides long-lasting sterilization and removes up to 95 percent of potentially harmful bacteria. Control your mini-ductless split system from anywhere in the room with a wireless remote control (purchased separately). The “I feel” function senses a temperature at the remote control instead of at the thermostat. 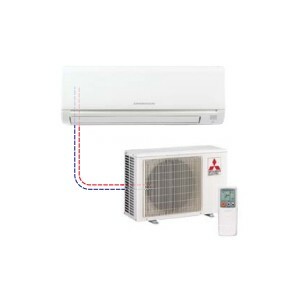 The ductless mini-split A/C system ships with a wired controller displaying temperature, operational mode, and time settings.